Oh, America, America. What has happened to you? I guess I shouldn’t really be surprised. I mean, it’s been this way for years and years now. The ’60s, ’70s, ’80s, ’90s, even during this young century: Everyone is looking for love. Everyone wants to be loved. Everyone wants to give love to someone else. Everyone just wants everyone to love each other. Love, love, love. It’s always the funniest commercials that usually make the headlines the morning after the Super Bowl is played, and those are usually the ones which leave people talking the longest. Every year has its share of serious spots as well. Oddly enough, some of the most touching commercials in recent years have been advertisements for beer, although other companies struck a more gentle tone this year as well. MacDonald’s is encouraging people to pay for their food at the restaurant “with love.” A computer tech spilling a bottle of Coca-Cola inspired all kinds of thoughtful acts in an ad for the soda company. Numerous commercials touted the noble attributes of family and fatherhood. 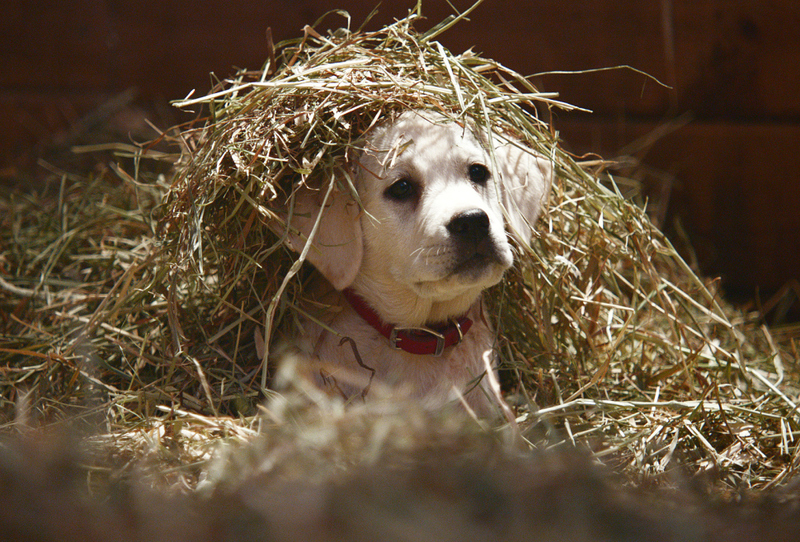 And then, of course, there was that adorable little Budweiser puppy dog being rescued from a pack of wolves by a herd of thundering Clydesdales. Even the horses were showing love. There’s nothing wrong with love. It’s great. It’s fantastic. Close-knit families, kind human beings, even affectionate animals are all wonderful things. They’re just not enough. They’ve never been enough. And they’re not ever going to be enough. That was my pervading thought as I watched all these messages of love flash across the television screen in front of me. We live in a love-starved world. It’s a vacuum we are all desperately trying to fill. My question would be, though, if we have been promoting love for all this time, in so many creative and different and uplifting ways, why is it not taking hold? Why do we all still seem to be so lacking in it, and why do we still feel the need to promote it, as if our message is going to resound differently than the million that came before it? We are running from God. We are running from the only love that can save us. We’ve been running from Him forever, decade after decade after decade, thinking we can replace His place in our hearts with just enough of this or just enough of that. It’s folly. I am certainly not going to disparage anyone from promoting peace and love, especially considering the heinous acts human beings perpetrate on each other on a daily basis. Love needs to be shouted from the rooftops every chance we get, even during the Super Bowl. It’s an incomplete message, though, and it’s going to keep missing the mark until we understand that in order to love fully we have to turn to the one who loved us first. I applaud every company which used its advertising dollars for this year’s Super Bowl to promote positive, encourage messages aimed at making this world a better place to live in. They can’t make us love God, though. We’re the only ones that can do that. He’s still waiting. Why are we?